April 23rd 2011. From Colin, Jessica and Nathan in Kigoma, Tanzania. Day 3 in Kigoma and things are going great! After a few days in Dar es Salaam, working to get flights out to Kigoma, we finally made it here. Nestled between the mountains and breathtaking Lake Tanganyika, Kigoma is a small but busy town with everyone happily calling hello to the three “Mzungu” (white people) who have just arrived. As in all new places, it took us a little while to get our bearings and locate the people helping with our project. Not much English is spoken here, which made the task more challenging, but that much more exciting when we found our way. Yesterday started with a trip to the local government headquarters and, after many miming attempts and several dozen dead-ends, we finally found the city’s Municipal Director and Director of Sport who were all too welcoming and excited to have us there. Even more surprising was when the Mayor of Kigoma and Ujiji, an energetic, jolly man came to meet us and take us ‘personally’ to see the progress of the Sport Court, the project that Coaches Across Continents has been working to build for over a year. We were delighted to see the progress when we arrived at the site. The field had been measured, leveled, compressed, and covered in small stones. The penultimate step, laying of concrete, began this morning and we watched as workers mixed, poured, and smoothed cement into the first measured squares. A tremendous amount of manual labor has gone into building this field and it’s very exciting to see how Coaches Across Continents is creating jobs for dozens of people and their families and leaving behind a pretty impressive legacy. The site is right in front of Katubuka Primary School, the main elementary school in Kigoma and Ujiji, and hundreds of children came running out at recess to catch a glimpse of the rare “Mzungu.” They all laughed good naturedly at our attempts at Swahili and were delighted when we brought out a soccer ball. We played with the children, passing, throwing and heading the ball around, trying to include everyone. Most of the girls were shy at first but soon became some of the most enthusiastic players. I was particularly excited by their enthusiasm and willingness to participate, as one of my primary goals here is to work on improving female empowerment by getting the girls more involved in soccer. Colin, Nate, and I are all so excited to be here to help and oversee the building of Kigoma’s first artificial playing surface, which will be a safe place for children to play soccer, basketball, netball, and volleyball. We will keep you updated as progress continues. Thank you again so much for all of your help and support. 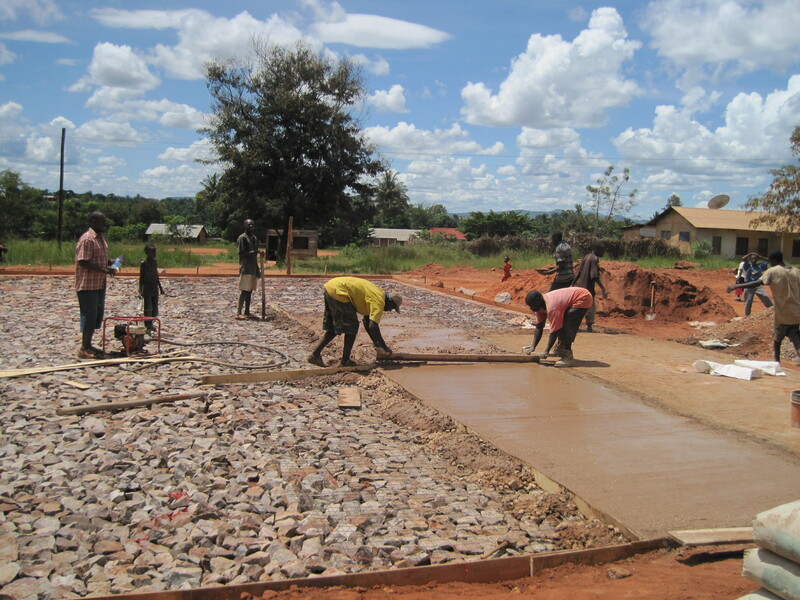 Next: Kigoma – A successful Hat-Trick Initiative creating locally owned, sustainable community programs.